Selenium sulfide is a chemical compound created by fusing atomic selenium (Se) and sulfur (S). The selenium and sulfur combination has been shown to promote skin health and thus selenium sulfide is found in many cosmetic, hair, and skin care products. It's probably best known as an antifungal and is used to treat tinea versicolor, a fungal imbalance of the skin. Selenium sulfide helps relieve itching and flaking associated with dandruff. It may also help soothe seborrhea, or seborrheic dermatitis. Depending on its intended application, selenium sulfide is usually listed as either selenium disulfide (SeS2) or selenium hexasulfide (Se2S6). The benefits described in this article apply to both forms. Let’s begin by taking a deeper look at selenium disulfide. How Is Selenium Disulfide Used? If you’re familiar with chemistry, you’ve probably already recognized that selenium disulfide is created by fusing a single selenium atom with two sulfur atoms. Selenium disulfide offers antifungal properties and it's added to shampoos and conditioners specially formulated for conditions like dandruff or dermatitis. 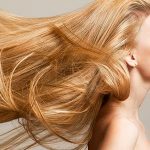 When choosing a selenium sulfide shampoo, don’t be thrown if “selenium sulfide” and “selenium disulfide” are used interchangeably. 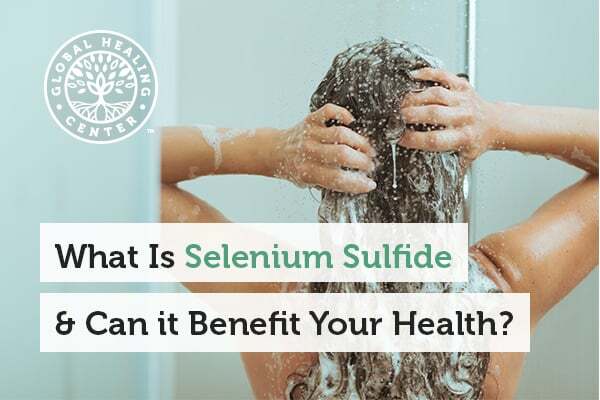 When reviewing shampoo ingredients, know that even if “selenium disulfide” is listed, some formulas actually use a mixture of both elements (while roughly maintaining the 1:2 ratio). All things equal, this should not affect product efficacy. Many shampoos also contain a harsh, synthetic antifungal drug called ketoconazole. Ketoconazole is also used to make a prescription cream to treat fungal skin infections. Because ketoconazole is artificial, it will not be found in any organic shampoo. Safety concerns have led to ketoconazole use being restricted by the U.S. Food and Drug Administration. It has been shown to cause severe problems, including liver damage. The list of potential side effects includes swelling of the eyes, face, lips, tongue, hands, feet, ankles, or lower legs, difficulty breathing or swallowing, difficulty falling asleep or staying asleep, hair loss, chills, nosebleeds, and even decreased sexual ability. When comparing cosmetic, skin care, or hair care products, it is important to double-check the ingredients. Many products are made with toxic chemicals that should be avoided. Fortunately, selenium and sulfur are both natural elements suitable for organic living. The same antifungal properties that make selenium sulfide an effective ingredient in shampoo can also be had in many different lotions, creams, and related skin care products. Selenium sulfide lotion (and shampoo, for that matter) comes in varying strength levels. There is a 1%, over-the-counter formula which has proven as effective at combatting ringworm as sporicidal therapy. A more potent 2.5% formula is available only by prescription. Even though selenium sulfide is made from pure, natural elements, it is still subject to regulation by the U.S. Food and Drug Administration. Does Selenium Sulfide Actually Promote Wellness? Wellness is the body’s natural ability to care for, manage, and even heal itself. When you provide your body with good nutrition, for example, it's more apt to function normally and you're more likely to experience wellness. 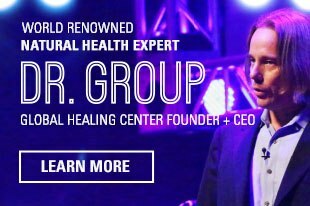 With that understanding, it's difficult to say that selenium sulfide promotes wellness in the same way. In fact, selenium sulfide is most often used to deal with side effects of being unwell. When you're unwell, it's vitally important to bring your body back into balance. I strongly believe in the power of regular cleansing for eliminating toxins, harmful organisms, and other impurities that bog us down. Removing these obstructions enables your body to function more effectively. That is, ultimately, what helps it strengthen and heal itself. Incidentally, adequate trace minerals are one component of proper nutrition, and selenium is one of those minerals. Selenium as a dietary mineral is essential to the body and supports a number of incredibly important functions. 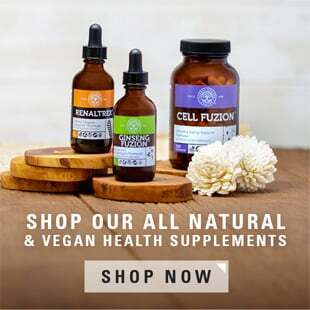 For example, selenium is necessary for normal reproductive health, thyroid hormone reproduction, DNA synthesis, and it offers protection from oxidative damage. Oxidative damage leads to severe health problems. Antioxidants are the defense and help reduce oxidative damage. 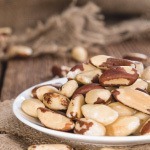 Selenium is a nutrient that supports antioxidant activity in the body. Selenium is also required by important enzymes, called selenoproteins, which regulate a number of important physiological processes. How important is selenium? To put it in simple terms, the body cannot function properly without selenium. 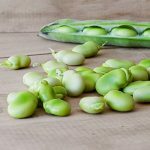 Unlike selenium sulfide, which is targeted towards providing relief from a certain condition, selenium actually powers the body’s own natural capabilities. In its absence, muscular and cardiovascular disorders, immune disorders, neurological disorders, and endocrine disorders may emerge. Because selenium plays such a vital role in nutrition, it is important to consume the right amount. There are many foods rich in selenium but not everyone gets enough through diet alone. Finding the right balance is a critical part of maintaining your body’s wellness. 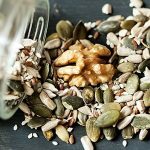 If you are not getting enough selenium in your diet, you may want to consider selenium supplementation. "SELENIUM SULFIDE." The PubChem Project. N.p., 8 Aug. 2005. Web. 29 June 2016. Selenium Sulfide. MedlinePlus. Web. 29 June 2016. Selenium Sulfide (On the skin). Micromedex Consumer Medication Information. Sheth RA. A comparison of miconazole nitrate and selenium disulfide as anti-dandruff agents. International Journal of Dermatology 1983 Mar;22(2):123-5. Ketoconazole. MedlinePlus. 2014 Jun 15. Ketoconazole Topical. MedlinePlus. 2010 Sep 1. FDA limits usage of Nizoral (ketoconazole) oral tablets due to potentially fatal liver injury and risk of drug interactions and adrenal gland problems. FDA Drug Safety Communication. 2013 Oct 16. Selenium Sulfide Topical Suspension USP, 2.5% (lotion). DailyMed. Web. 29 June 2016. Givens TG, Murray MM, Baker RC. Comparison of 1% and 2.5% selenium sulfide in the treatment of tinea capitis. Archives of pediatric and adolescent medicine. 1995 Jul;149(7):808-11. Office of Dietary Supplements. Selenium Fact Sheet. National Institutes of Health. Web. 29 June 2016. Battin EE, Brumaghim JL. Antioxidant activity of sulfur and selenium: a review of reactive oxygen species scavenging, glutathione peroxidase, and metal-binding antioxidant mechanisms. Cell Biochem Biophys. 2009;55(1):1-23. doi: 10.1007/s12013-009-9054-7. Epub 2009 Jun 23. Frederick P. BELLINGER, Arjun V. RAMAN, Mariclar A. REEVES, and Marla J. BERRY. Regulation and function of selenoproteins in human disease. Biochem J. 2009 Jul 29; 422(1):11-22.